It’s been a long, strange season for my beloved Washington Capitals. After starting out with a seven-game winning streak, things got bumpy, the coach got fired, a new one came, inconsistency took deep, seemingly permanent hold, and the team that had won its division four years running found itself “on the bubble” for a playoff spot. 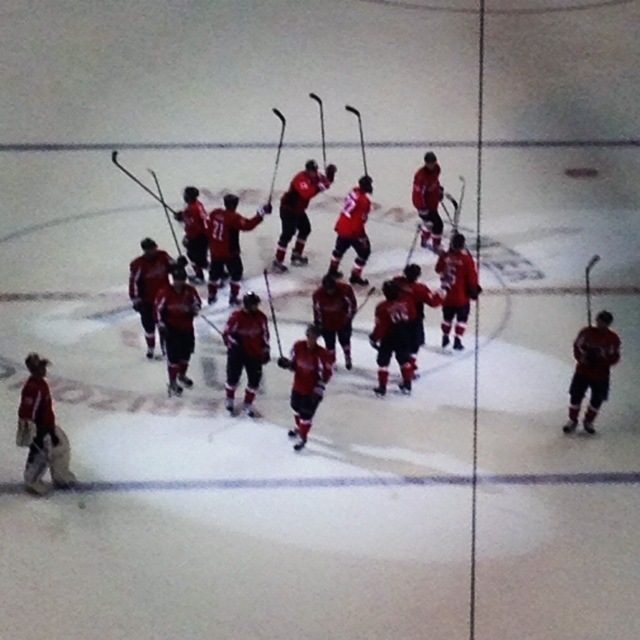 The Caps salute the fans after clinching a playoff spot. So, the Caps will be in the playoffs. Their final seeding depends on the outcome of Saturday’s final game, which they’ll play against the Rangers at Madison Square Garden. But at this point, they can finish no lower than 8th – the final playoff berth – and that’s what matters. And now, I need to go collapse into bed. I am worn the heck out from all of the cheering.